A garage door is not just a point of access to your garage. It has an important role to play in the house’s overall look and feel too. A garage door is the only part of your garage that is open to the public and thus, it is a part of your house’s exterior. Most people put a lot of effort into making their house look beautiful from the outside but pay no attention to the garage door. And this makes all their effort look futile as the house’s exterior is dampened by the door. 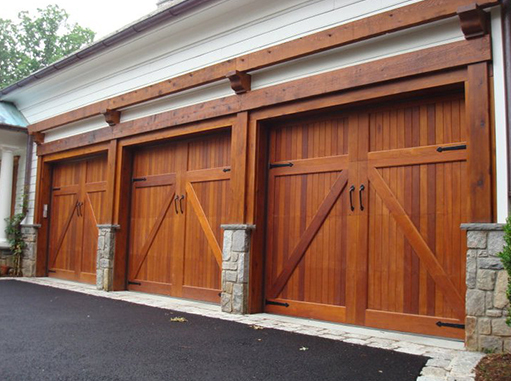 A lot of things matter when it comes to garage door installation. It’s not just about selecting a door that looks good. If it won’t be installed properly, it would look bad and won’t operate properly as well. Many doors don’t look good at first look but after they are properly installed, they enhance the exterior’s appearance. So, what matters the most is how you install the door. We have been installing garage doors for many years and we are proud that our consumers like our aesthetic sensibilities. We work with the best in the business for garage door installation in Valley Village like Overhead Garage Doors, CHI, Wayne Dalton and Amarr so you don’t have to worry about a thing! The installation of a garage door opener is a complex task because a garage door opener has both electronic and mechanical components. The fact that there are various types of openers and every opener has its own installation specifications makes life difficult. This is why you need to choose a company which has great experience in this field and has installed every type of opener multiple times. Our knowledge of garage door opener installation in Valley Village makes us your best option for sound option for opener installation. For a quite operation these openers are the best. Belt drive openers comes with a guarantee. Though these openers are known for quittest operation these openers are the most costly ones. But if you are passionate about luxury then these garage doors might provide you just that thing you want. These openers are operated using a rotating screw. Due to the less number of moving parts on the system less maintenance is required to handle these openers. Price range of these openers are lower than that of belt drive openers too. If cost efficiency is the thing that matters to you a lot then chain drive garage door openers may fulfill your desire. These are reliable enough with years of problem free service. Though a little bit noisy these openers are the cheapest and that is why still popular till these days. However we do not recommend this garage door opener system if your garage door is attached to the living room as it will start annoying you at times with the noise that it makes. Most of the equipments of this garage door opener system are mounted on a wall. This provides the garage with better space at the top. As a matter of fact, modern residences are designed in such a way that often the garage ends up with a low ceiling. In that cases direct drive Jackshaft opener serves those garages in a better manner. These openers are also quit as most of the equipments are inside the wall. Being located on both sides of the garage door track, these springs are popular with lighter garage doors. These springs are popular for comparatively heavier garage doors. They are usually located at the top of the door. Springs are one of the most important parts of the garage door. Without proper functionality of springs the opener system fails to serve in a proper manner. So it is necessary that you do not keep faulty springs for long time to prevent other accessories from getting damaged. We recommend that you leave the installation task to a professional instead of risking yourself. Spring installation is not easy for a newbie. Rather it is too dangerous task to do without safety tools. Garage Door Repair Vallay Village offers you with safety and peace of mind.